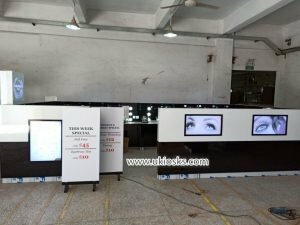 Last week we just finished a high-end brow bar threading kiosk and load to Perth,Australia.Different as other normal eyebrow kiosks,it used simple black match white,color simple but looks very high-end. 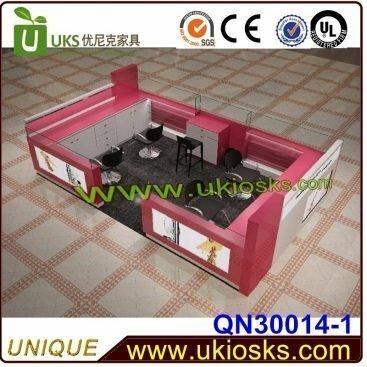 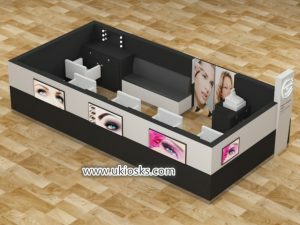 see this brow bar threading kiosk,it is 5m by 3m,with 5 brow stations,one sitting sofa and one sink. 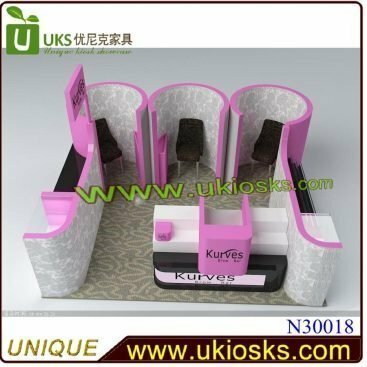 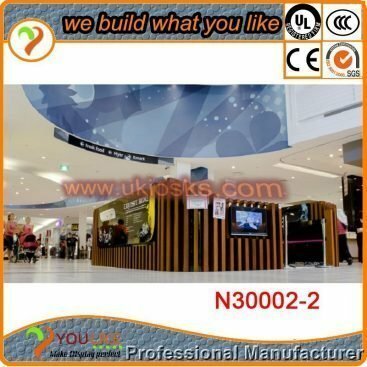 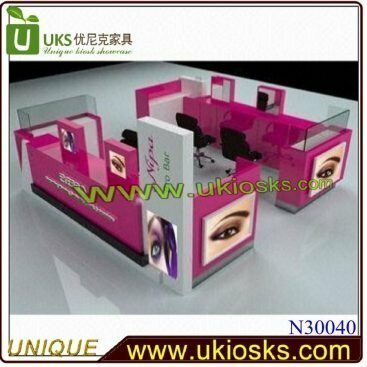 Kiosk outside add many led light boxes with nice advertising posters to attract customers. 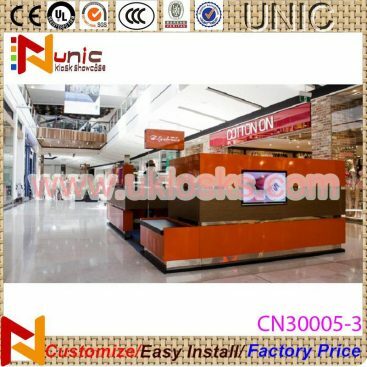 it structure is simple but very functional and easy use.And to close kiosk at night,we added two movable doors with nice posters,very creative. 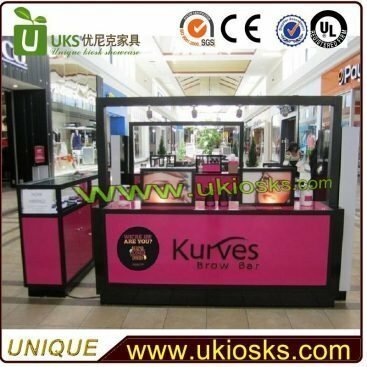 Unique did many brow bar threading kiosks beforeto different countries,USA,UK,AUSTRALIA,EUROPE are our main markets,we coopertaed with famous brow brand like:Wink brow bar,Kurves brow bar,Exquiste brows and Elegance brows etc.So if you also want make a creative brow bar threading kiosk to begin your business,choose us really the best choice.Welcome to inquiry!